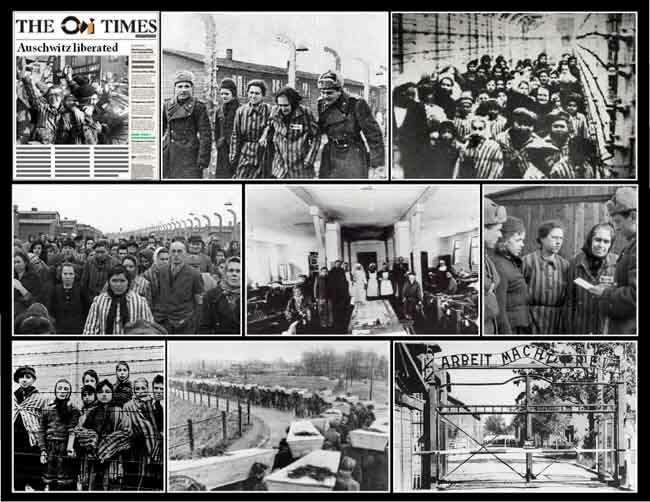 January 27th 1945; The Red Army liberated the Nazis' biggest concentration camp at Auschwitz in south-western Poland. According to reports, hundreds of thousands of Polish people, as well as Jews from a number of other European countries, have been held prisoner there in appalling conditions and many have been killed in the gas chambers. Few details have emerged of the capture of Auschwitz, which has gained a reputation as the most notorious of the Nazi death camps. Some reports say the German guards were given orders several days ago to destroy the crematoria and gas chambers. Tens of thousands of prisoners - those who were able to walk - have been moved out of the prison and forced to march to other camps in Germany. The Inquisition pales in comparison to this horrendous crime again humankind and yet there are those with anti-religion proclivities who continue to focus on the Inquisition and simply ignore the fact that such the Holocaust was committed in the 20th century by a regime who had substituted religion for a nefarious ideology. The same can be said for Stalin and his gulags which killed just as many people. Food for thought.